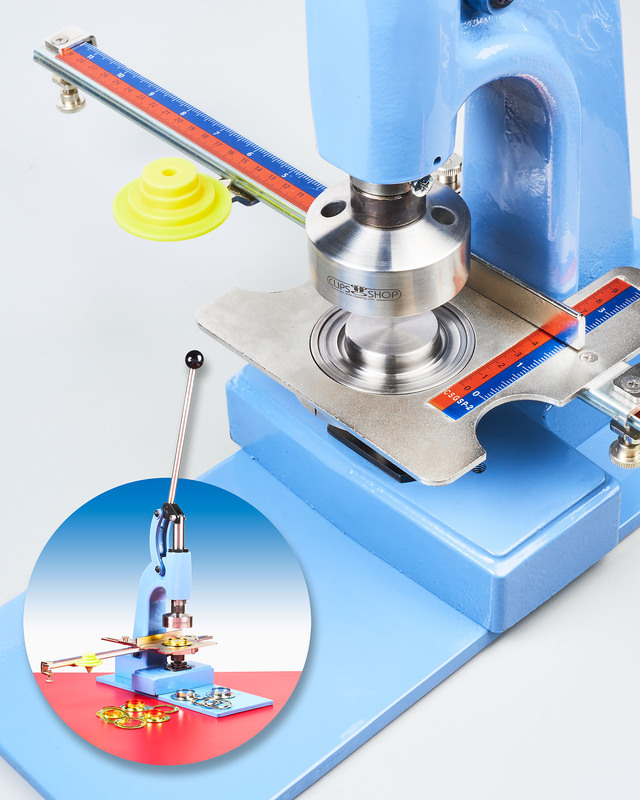 A hand press designed for curtain eyelets and tarp grommets that now comes with a new two-step die and alignment fixture to improve productivity is being introduced by METALgrommets.com of Dighton, Massachusetts. The ClipsShop® CSBUR-1 Grommet Press is engineered with magnified force to provide the leverage needed to apply large size #12 (40 mm) eyelets and features a new two-step cutting and setting die for greater productivity. Coupled with the new Large GrommetSniper™ and adapter, users simply load the material once and uniformly locate the distance between the eyelets. Eliminating the need to handle material multiple times, the ClipsShop® CSBUR-1 Grommet Press with the new two-step cutting and setting die is suitable for a wide range of materials and applications using #7.5 (1” I.D. ), #8.5 (1-1/8”) and #12 (1-1/2”, 40 mm). This hand press measures 16.5” x 6.25” x 15.75” and can be used free-standing or bench mounted. The ClipsShop® CSBUR-1 Grommet Press including the two-step die is priced from $595.00 (list) and the Large GrommetSniper™ is from $141.95 (list).